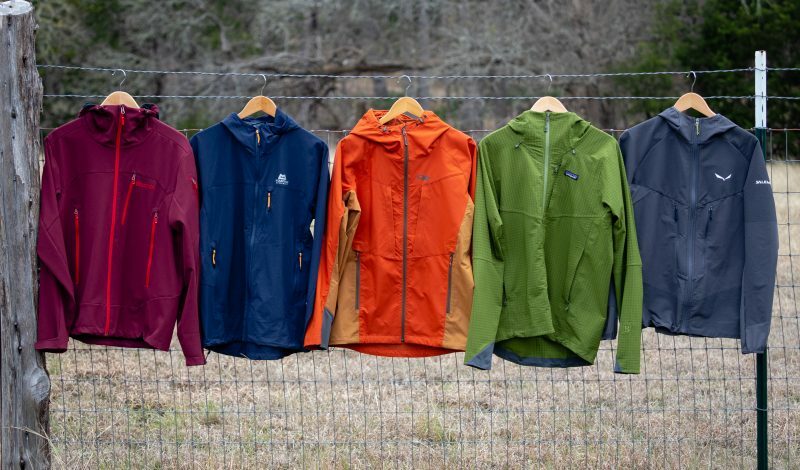 The soft-shell category has exploded with uncountable options that cover the entire swath of the protection versus breathability spectrum. To make purchasing choices easier and make comparisons productive, Gear Institute has split soft shells into two distinct groups. 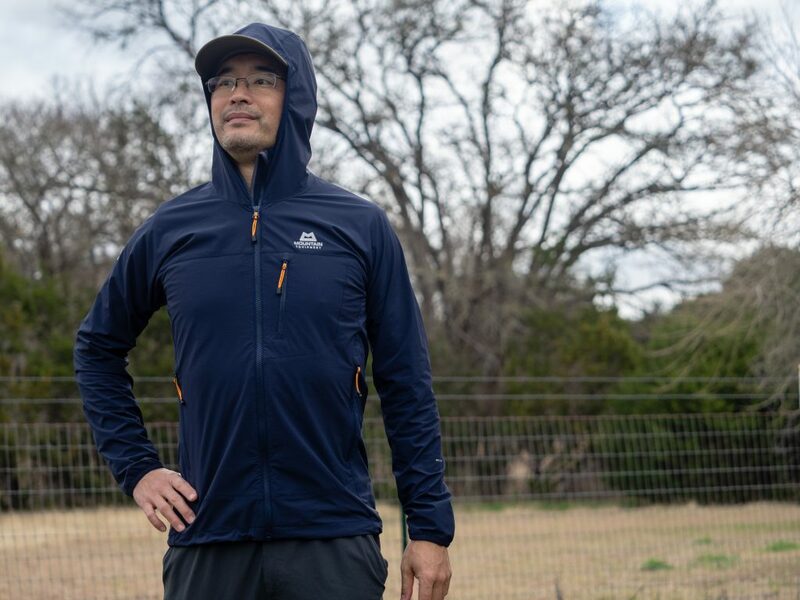 The aerobic softshell group, covered here, stresses air and moisture vapor permeability over protection from the elements, making them more attractive for higher output activity. Protective softshells are at the other end of the spectrum, focusing on protection from wind and precipitation over breathability. Here is a sampling of the latest offerings in the aerobic softshell subcategory. For sizing reference, I am 6 feet tall, weigh 167 pounds, and have 34 ½ inch sleeves. The warmest, most windproof softshell of the bunch. The Marmot Moblis is the only softshell in the group that is fully lined. This feature made it the warmest, but also the heaviest by far, a verified 1 pound, 9 ounces (men’s medium). This insulative capacity made it the jacket to grab when conditions were downright frigid and activity levels low. The Moblis had a trim and short cut; the torso and sleeves could accommodate a base layer and light to mid-weight mid layer, while the four-way stretch provided give to mitigate tightness. The torso length made it an above the harness style of shell. The sleeve length and Marmot’s Angel-Wing Movement shoulder design kept wrists covered, but overhead reaches tugged up on the jacket. The Moblis fared the best in the group in winds, but the DWR coating faltered in anything other than a drizzle. The Moblis has a comprehensive feature set. 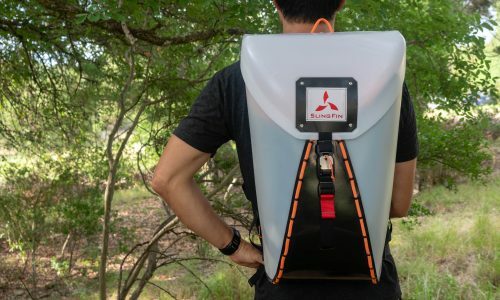 Two harness and backpack clearing handwarmer pockets and a chest pocket are mesh lined to act as vents. There is also a zipped pocket on the left upper sleeve. The lower hem is adjustable via dual cord locks, and the sleeves have Velcro tabs at the cuffs. The helmet compatible hood has dual adjustments. The lining is a gridded fleece that extends into the hood. The highest degree of windproofing combined with the full lining made the Moblis the warmest jacket of the roundup by a large margin. 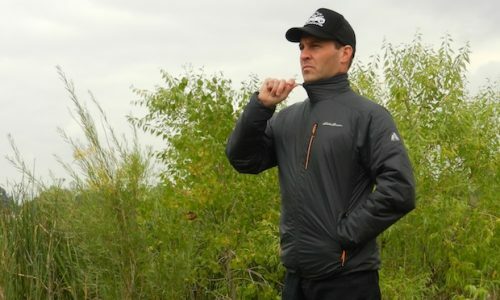 But anything more than flat hiking, even in freezing temperatures, would overwhelm the breathability and venting ability of the jacket, allowing sweat accumulation in the base layers. But, again, when warmth was the premium, this was the softshell to reach for. 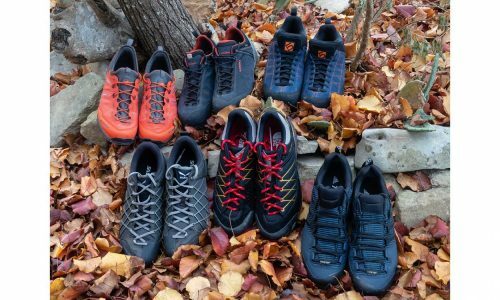 The Moblis is also available in a women’s version, and MSRP is $185 at marmot.com. The trimmest and most breathable piece in the roundup. 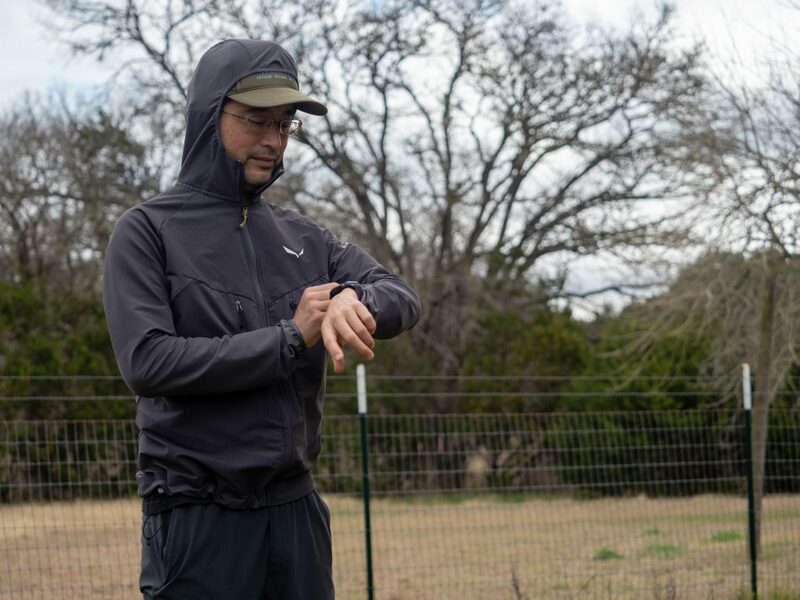 The Echo Hooded Jacket was the closest fitting, most breathable, and the minimalist of the bunch, rendering it ideal for aerobic sports during the shoulder seasons. Trail running, mountain biking, and the like suited this light (11 ounces for a men’s medium) and stretchy jacket. The Echo Hooded Jacket has a very form fitting cut in both the torso and arms; only a light base layer was appropriate underneath. It is cut short at the lower hem, just reaching pant waistlines, and the sleeves left a bit of the wrist exposed when reaching overhead. The highly elastic fabric provided four-way stretch, allowing the close cut to still provide ample mobility for aerobic pursuits. The double weave fabric blocked light wind and drizzle, and the soft inner surface felt comfortable on bare skin. The close fit and simple design also worked well with layers on top, gliding well to keep mobility intact. The Echo Hooded Jacked packed down to the size of a softball. The minimalist feature set includes a pair of handwarmer pockets and a single chest pocket that are mesh lined for venting. Simple elastic sleeve cuffs, dual drawcord lower hem, and an under the helmet hood round out the Echo. 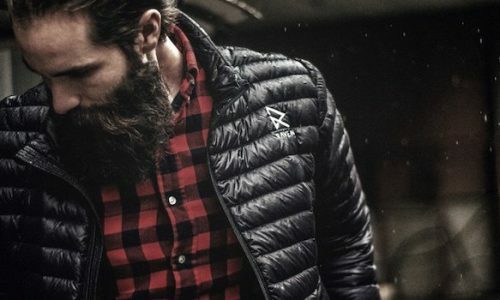 The Echo Hooded Jacket MSRP is $145 for men’s and $135 for women’s at mountain-equipment.com. This softshell excelled during high output activities in freezing conditions. The San Juan jacket is a fully featured shell that performed great for high exertion in temperatures near freezing. 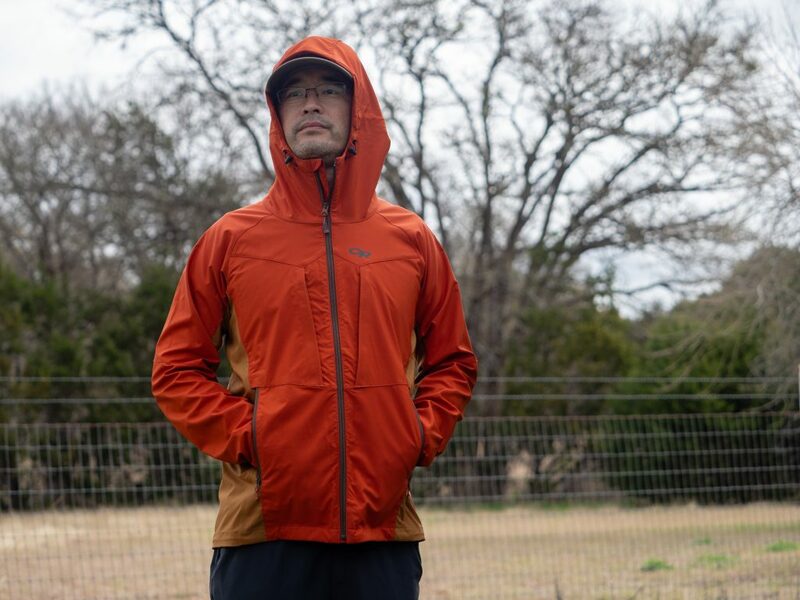 This 15-ounce (verified for men’s medium) jacket’s 75 denier polyester double weave with DWR has a robust feel and blocked both light precipitation and wind well. The fabric was very breathable for having such a heavy duty feel. This jacket seemed ideal for ski touring. The jacket is trim in cut; the limiting dimensions are in the shoulders and sleeves. This fit made for a clean profile that felt great when active, but limited layering underneath to a base layer and light mid layer. The torso could accommodate an additional mid-weight vest. Torso length was just long enough to get under a harness, and sleeve length kept wrists covered while reaching overhead. The San Juan’s fabric has a small amount of two-way stretch that perceptibly aided mobility. The feature set is comprehensive, yet nothing stands out as extra for mountain-oriented adventures. A pair of handwarmer pockets (one has a key clip) and generous chest pockets are mesh lined for use as vents. Inside lie two interior mesh pockets that were ideal for drying gloves. The San Juan sports the most generous hood of the bunch; it accommodated both climbing and ski helmets and is dually adjustable via cord locks. The lower hem is also adjustable with a single cord lock. Each sleeve terminates at a trim opening with a large elastic patch. This design kept the cuffs sealed without any bulk or tabs to get hung up and facilitated pushing sleeves out of the way for chores like cooking. The jacket balled up into the size of a cantaloupe. The San Juan is also available in a women’s version, and MSRP is $169 at outdoorresearch.com. Fleece with a hard outer facing. The R1 TechFace Hoody is a category crosser. It’s listed in the brand’s fleece collection and displays the familiar R1 fleece badge, but the stretchy, partially recycled, double weave fabric has a “hard” exterior surface with a DWR finish. 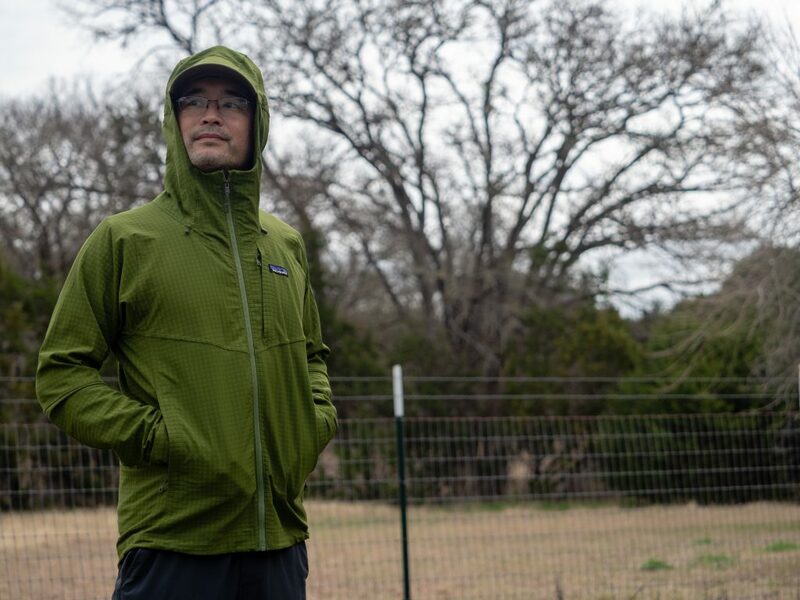 The piece lacks the bulk of a standard Patagonia R1 fleece garment and has a larger fit than a mid layer. 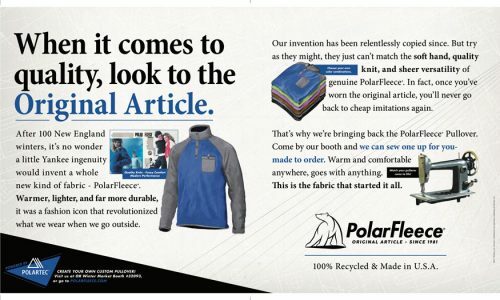 This recipe produces a softshell that ditches some of the insulating value of fleece but which possesses the weather-resistance and durability of a softshell. 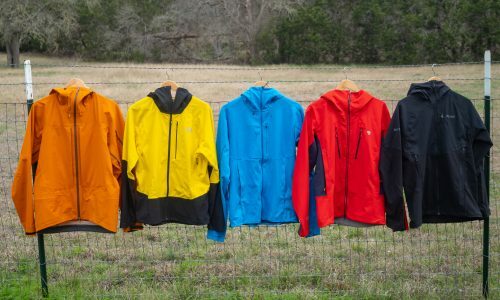 The R1 TechFace Hoody excelled when worn over a base layer for active pursuits in the shoulder seasons; rock climbing, hiking, trail running, and mountain biking were amongst the testing activities. The articulated pattern and high degree of elasticity provided unrestricted mobility. The generous arm length kept wrists covered at all times, while the extended cut of the torso tucked well under a harness. The overall dimensions are liberal, but the arms are slender. The air permeability was high, making the piece ideal when moisture management was a priority and wind resistance wasn’t. 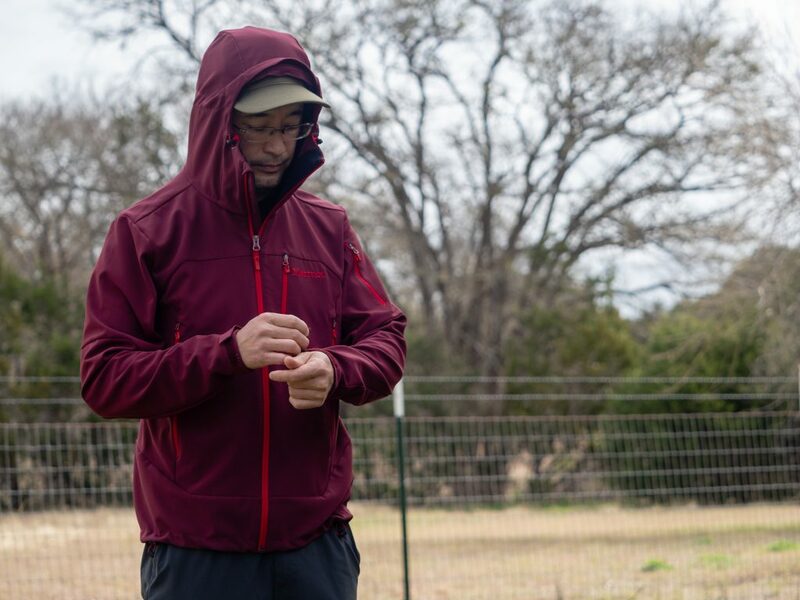 The fleece-like nature of the fabric and gridded interior surface provided more warmth than a “standard” softshell. The DWR coating and “hard shell” fleece exterior did a remarkable job at shedding water, but the coating started to absorb water after a few months of use. 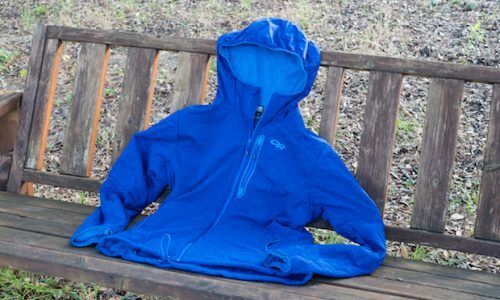 Otherwise, the Patagonia R1 TechFace Hoody has proven remarkably durable. The R1 TechFace Hoody has high handwarmer pockets with venting mesh, a chest pocket, a two-way adjustable helmet compatible hood with laminated visor, adjustable lower hem, and sleeve cuffs with an elastic patch. These sleeve design worked remarkably well, sealing the cuff at the wrist, and staying in position when pushed up. The hooded jacket packed down to the size of a small cantaloupe. Our men’s medium (also available in women’s) weighs in at 14 ounces, and MSRP is $169 at patagonia.com. A lightweight, alpine oriented softshell. The Salewa Agner Engineered Cordura Softshell Jacket performed most like a valid shell for use during high output alpine adventures. The understated looks belie the technical features. The 12-ounce (verified men’s medium) athletically cut piece utilizes Cordura fibers in the two-way stretch Durastretch fabric and lighter, four-way Durastretch panels below the arms and on the back for enhanced mobility and breathability. The feature set is minimal but sufficient for objectives where weight is a factor. The main body fabric’s primary characteristic is durability; after rough handling around cliffs, boulders, cactus, and sharp branches, the Cordura based Durastretch fabric emerged unscathed. The material fends off moderate winds but provides no insulative capacity on its own, and the arms felt cold without a mid-layer. The PFC-free DWR finish beaded up light to moderate rain well, and water penetration hasn’t occurred over a few months of testing. The Agner Engineered Cordura Softshell Jacket sports a close cut, managing to house a base layer and thin mid layer. The elasticity of the main fabric and greater stretch in the underarm and back panels provided excellent mobility despite the form-fitting cut. Arm length was adequate for overhead reaches and the short torso length mandates above the harness use. The Agner Engineered Cordura Softshell Jacket lacks handwarmer pockets but has two generous venting chest pockets. Simple elastic binding at the sleeve cuffs, adjustable drawcord lower hem, and under the helmet stretch hood help keeps the verified weight of our men’s medium sample to 12 ounces and allows it to compress to the size of a softball. The Agner Engineered Cordura Softshell Jacket is also available in a women’s version, and MSRP is $200 at salewa.com.